User Review: "A brief look at Aprimo and comparisons"
Across the whole sector organization. 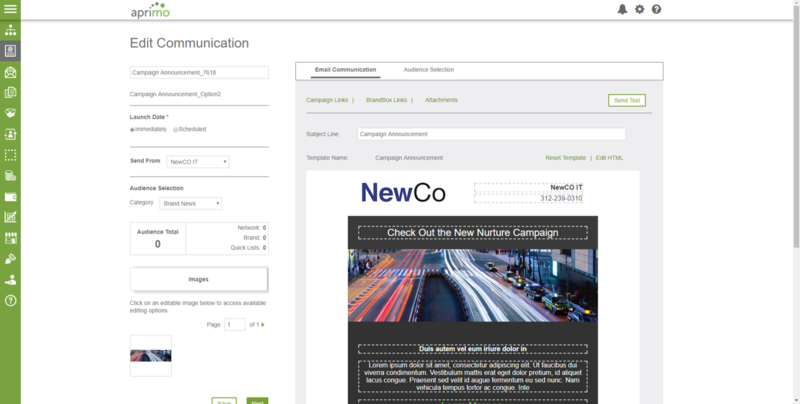 It allows for campaign management - through submission, editing, review and deployment and the HTML of email campaigns - creating, editing, printing, final files for banners/web ads/large prints/etc. Review: "Perspective from an admin 1 year in to Aprimo rollout"
The strongest suit of the application is workflow management. 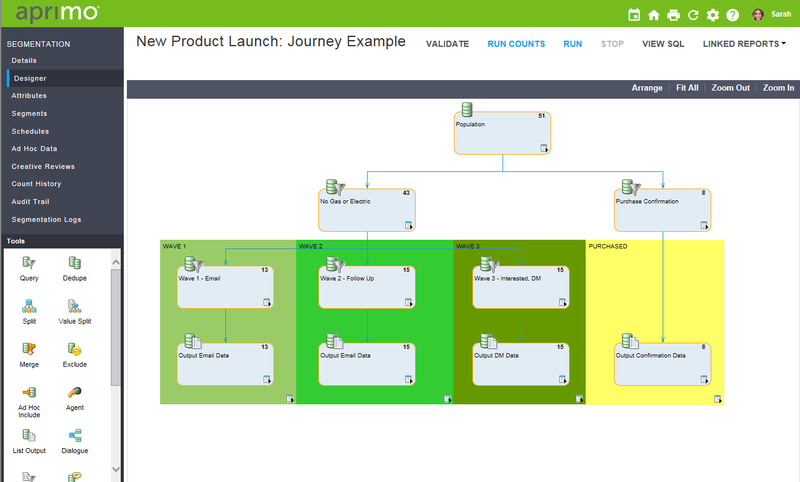 As an admin, I am able to create workflows that will move a job along it's path automatically from open to closure. As an admin, it is not easy to use. Plan on a good 6 months in the tool before you get the hang of it, and a year before you approach expert level. The different objects you need to work with to build a flow are spread out in the system so it does take time and work to wrap your head around how everything fits together and to be able to easily envision how to build your workflow. The UI is pretty bare bones. It doesn't turn on marketing users. The support from Teradata is lacking. If you're an on-demand customer, Teradata is not invested in your success. Consider availability of experienced admins in advance because you're basically teaching yourself. Consider if you can make do with the 'lighter' application which will be easier for admins and end users to do. User Review: "Aprimo in Metro C&C"
Metro C&C uses Aprimo to manage all Direct Marketing campaigns, select customers for e-mail sends, SMS and survey. I work in the CRM Team and I'm the only employee that uses Aprimo. 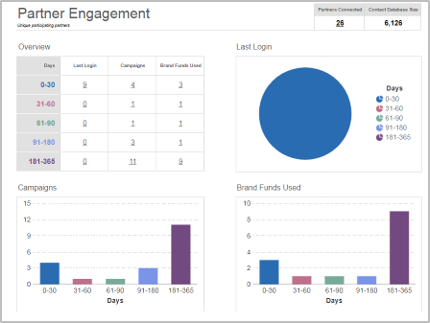 Aprimo Review: "Good Fundamental Tool for Actual Spend, Some Voids on Planning Capabilities"
Enables the allocation across brands of various marketing activities, essential for multi-brand executions that we do freuently. 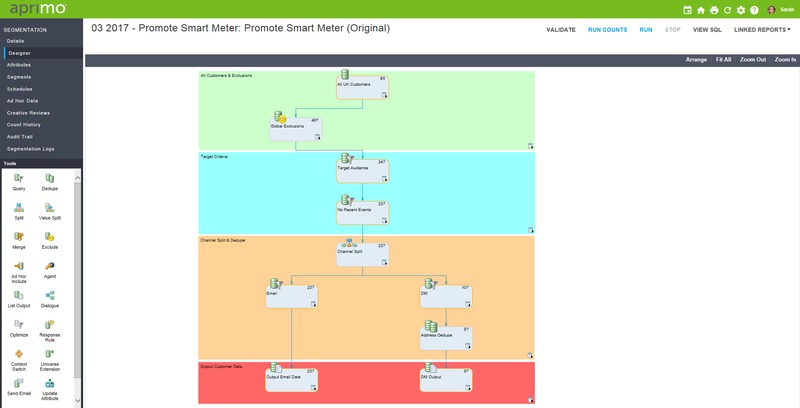 Connects seamlessly to IBM Cognos to create comprehensive reports that allow analysts and managers to see their budgets at any given point in time. Interface is easy to navigate, with an ability to customize based on your usage needs. Improved forecasting and planning tools, currently Aprimo does not enable teams to easily delineate starting budgets, actual spend, planned spend, and remaining budget. Better filtering mechanisms - we rely on text lookups that can easily create problems if employees input misspellings. Needs a capability to show snapshots of given points in time, for example, what the budget and plan looks like at the outset of the year vs. halfway through vs. end of year. I would advise him/her to meet with an Aprimo consultant to understand all of the capabilities of the software. I have a feeling that Aprimo does have the planning capability we urgently desire, but the training platforms Aprimo offers are very limited. Perhaps a valuable proposition would be for certain employees to become power users who are constantly seeking out improvements within our company's use of Aprimo. Aprimo Review: "Customer service not up to expectations"
Is product in compliance with your requirements? More detailed level of functional and non functional requirements. Aprimo: "AMSOD Review - a 2 year experience." Aprimo Review: "Truly difficult to use!" Initially it was purchased so that we could track every step of projects, and lay out stopping points as well as figure out how many rounds projects went, easily. One of our large projects had over 100 steps easily, and once we tried implementing it, it fell off so many steps eventually we could not use it to create and track the project fully. In some instances I personally used it as a go-between to review a campaign email, but asked users to login to Aprimo, review the email, and then supply their feedback in Aprimo. No one used it correctly, most people reviewed outside of Aprimo and just sent me an email with their feedback. It was supposed to be used across departments, but mainly we just use it mid-sized group under 20 of managers and directors now. Currently we just minimally track projects here, including project codes, description and status, effort levels. It was a major learning curve to just get familiar with any part of the terminology and how to move just within the program, such as "save": vs "close" - if you choose close, it ends the project timeline and one is now entering information such as closing costs, delivered on time etc. We could not get our graphics team to really easily use it either. One bug was that when you were reviewing pdfs, it was not easily magnified, so missed or double periods were hard to notice. We found it hard to learn and work with, which is why we use it minimally now. If you want a program that lays out step by step processes this is the program for you. Of course you have to list all these before entering them, and hopefully the program lays things out exactly right. It can allow you to see what projects you are working on, if you have the opportunity to get them into the system. Very difficult to learn, confusing language and practically no help to speak of. 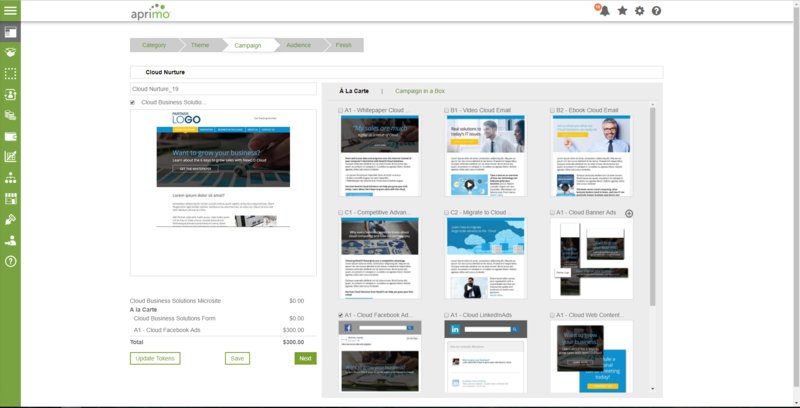 Aprimo Review: "Built by marketers, for marketers." In general the capabilities within Marketing Resource Management seem like a platform built by marketers for marketers. The uniformity of the user experience across modules makes user training and change management a lot We are still in early stages of using the reporting capabilities, but we can see lots of value in what they Unica was not as standardized. We are still very much focused on adoption. Users have to adjust to Aprimo. More challenging for organizations that have deep-rooted processes and this is something that has to be addressed in training. The portal full application experience varies greatly and it can become cumbersome for users to communicate via Aprimo on projects. The investment you have to make in process and ensuring your people have the right skills in the art of marketing is critical. For successful change management, make sure you form a team of what we called “process champions” composed of a member from each of the functional groups. These individuals will be the voice of their team to the deployment resources and the voice and the champions of the project to their teams. They should maintain an ongoing presence for the life of the relationship with Aprimo with their role being continuous evaluation of their processes, voice of their function with regards to new capabilities and requirements. Aprimo have taken the challenge of technology out of the picture by focusing so much on the user experience. Aprimo is a leader in global marketing operations technology. Aprimo’s performance-driven marketing operations and digital asset management software is designed to give marketers the advantage to govern and grow their brand. According to the vendor, Aprimo delivers the advantage with its innovative Marketing Operations Hub. It allows marketers to manage budgets, people, data, and content throughout the ideation, workflow, and campaign delivery of the brand experience while maximizing provable ROI.